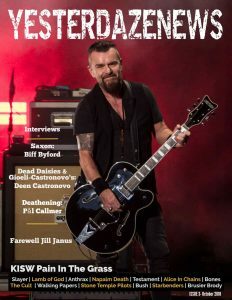 Welcome to the YesterdazeNews Magazine issue page. Our magazine issue has different content than the rest of our site. Enjoy our current issue below. 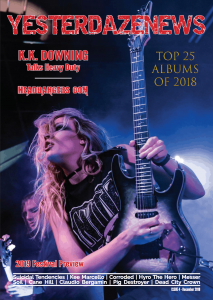 Features: The NAMM Show 2019, She Rocks Awards 2019, Gibson NAMM Jam. 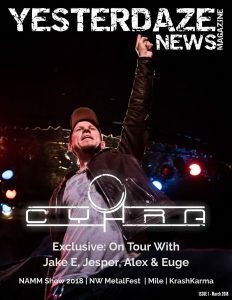 Interviews: Rock Out ALS Auction – Neil Lim Sang, Black Mirrors, Dead City Crown, Tommy Bolan, Tod Junker and HellHeart. Album Reviews: Gathering of Kings, Battle Beast, Lullwater, Last In Line and Delain. 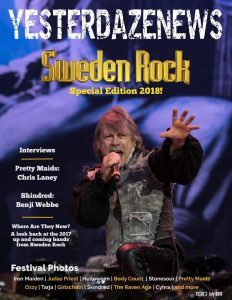 Also in this issue: Bands To Discover, 2019 Sweden Rock Festival Preview, 2019 Helgeåfestivalen Preview, Entertainment – Monster Jam 2019.